The following podcast and text are reposted from The Wakeman Agency. 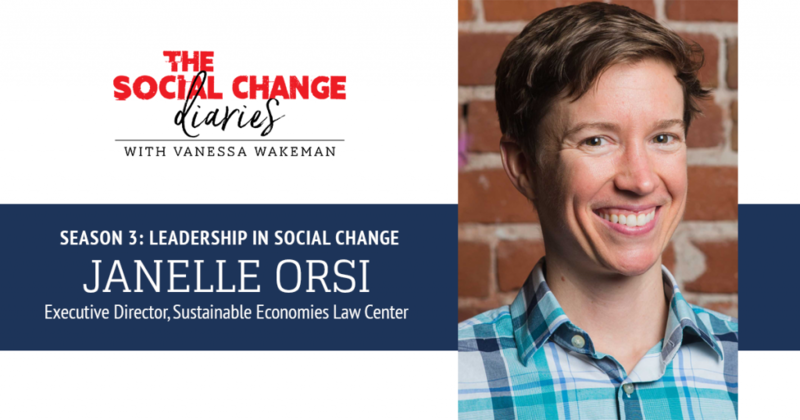 Janelle Orsi is a lawyer, advocate, writer, and cartoonist focused on cooperatives, the sharing economy, land trusts, shared housing, local currencies, and rebuilding the commons. She is Co-Founder and Executive Director of the Sustainable Economies Law Center (SELC), which facilitates the growth of more sustainable and localized economies through education, research, and advocacy. Janelle has also worked in private law practice at the Law Office of Janelle Orsi, focusing on sharing economy law since 2008. Janelle is the author of Practicing Law in the Sharing Economy: Helping People Build Cooperatives, Social Enterprise, and Local Sustainable Economies (ABA Books 2012), and co-author of The Sharing Solution: How to Save Money, Simplify Your Life & Build Community (Nolo Press 2009), a practical and legal guide to cooperating and sharing resources of all kinds. ← Better Jobs and Better Future: What cooperatives can do for young people?